With the start of 2015, Tarrah Graves joined San Luis Obispo Realty as an agent and brought her experience and fresh ideas to our team. Born and raised in San Luis Obispo, Tarrah is a third-generation resident. Her grandfather was one of the first professors of Architecture at Cal Poly and served on the City Council, and her father, Kirk Graves, has had a long career in Real Estate in San Luis Obispo. Tarrah and her husband feel very fortunate to be living in Los Osos where they are raising their two sons and enjoying all that our county has to offer. 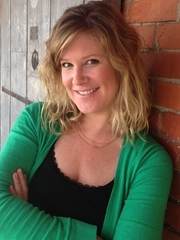 Tarrah studied Marketing & Public Relations at Cal Poly and graduated in 2005. Her Real Estate career began in San Luis Obispo as a transaction coordinator; she went on to assist a top-producing broker, and became a licensed REALTOR® in 2006. A few years into her career she moved to Orange County where she worked for a high-volume Real Estate office and specialized in short sales, before returning to the Central Coast. Tarrah’s transactional experience, marketing background, and local knowledge of San Luis Obispo County’s unique cities and neighborhoods are an asset to her clients. Tarrah enjoys building relationships with clients and helping them market their property or find the perfect home or investment property to fit their needs. Call Tarrah for your Real Estate needs today!